New York: A handful of walnuts every day can help young men happily tackle life's daily stress as this nutrient-dense snack can lead to a happier state-of-mind, suggests a new study. The researchers found a significant improvement in mood in young, healthy males who consumed walnuts every day for eight weeks. "In the past, studies on walnuts have shown beneficial effects on many health outcomes like heart disease, diabetes and obesity," said researcher Peter Pribis, Professor at University of New Mexico in the US. "Our study was different because we focused on cognition, and in this controlled randomised trial (CRT) we measured mood outcomes in males and females," Pribis added. The participants of the study were 64 students between the ages of 18-25. The participants were asked to eat three slices of banana bread every day for sixteen weeks -- eight weeks of banana bread with walnuts and eight weeks of banana bread without walnuts. The nuts were finely ground into the dough so the two banana breads were similar in taste and appearance. While eating banana bread with walnuts the participants consumed half a cup of walnuts daily. The mood of the students was measured at the end of each eight-week period. "We used a validated questionnaire called Profiles of Mood States (POMS)," Pribis said. "It is one of the most widely used and accepted mood scales in studies on cognition. The test has six mood domains: tension, depression, anger, fatigue, vigor, confusion and also provides a Total Mood Disturbance score (TMD)," Pribis explained. The researchers found that consumption of walnuts led to a significant improvement in mood in young, healthy males. "In non-depressed healthy young males, walnuts seem to have the ability to improve mood," the study, published in the journal Nutrients, said. "There was a meaningful, 28 per cent improvement of mood in young men," Pribis pointed out. 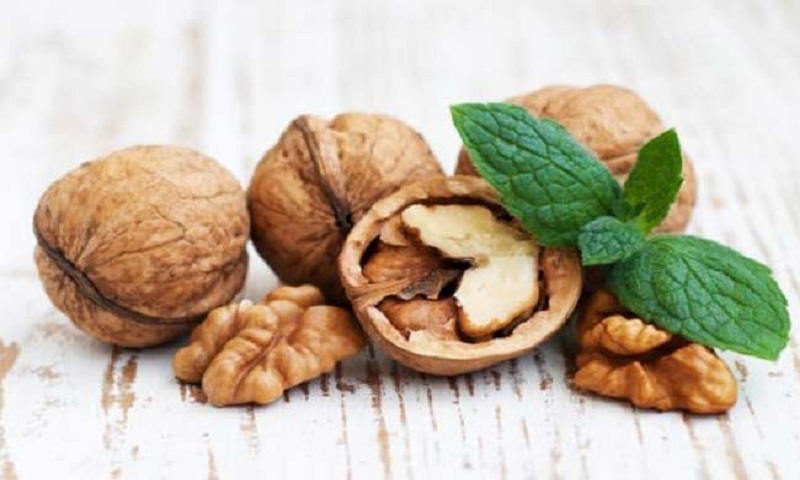 There are several nutrients in walnuts that could be responsible for the improved mood like alpha-Linolenic acid, vitamin E, folate, polyphenols or melatonin, the researchers said. "However we did not observe any improvement of mood in females. Why this is we do not know," Pribis said.